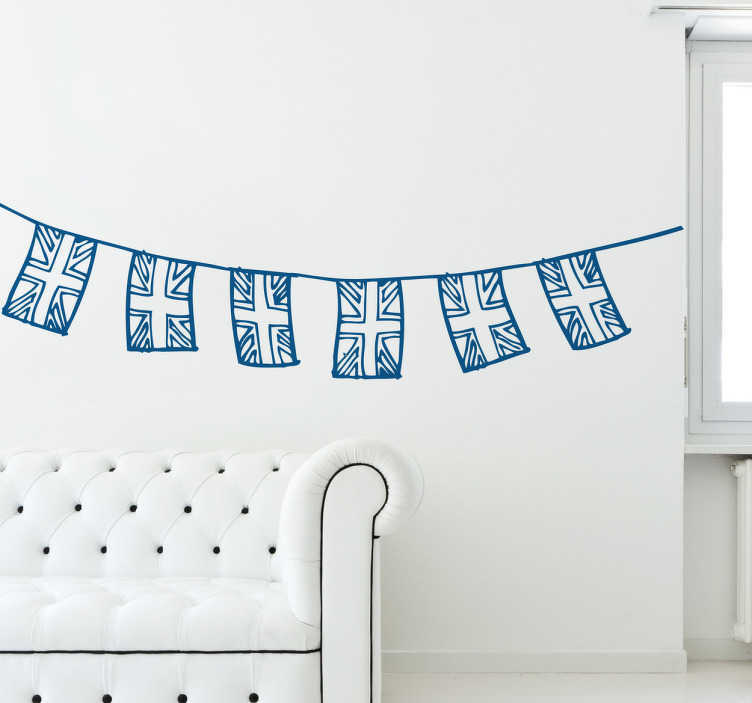 A fantastic set of Great Britain flags from our collection of bunting wall stickers to decorate all those white and empty spaces at home! This creative bunting decal is super easy to install and leaves no residue upon removal. Choose from a wide range of colours and sizes.